Keeping you warmer in the winter, cooler in the summer. 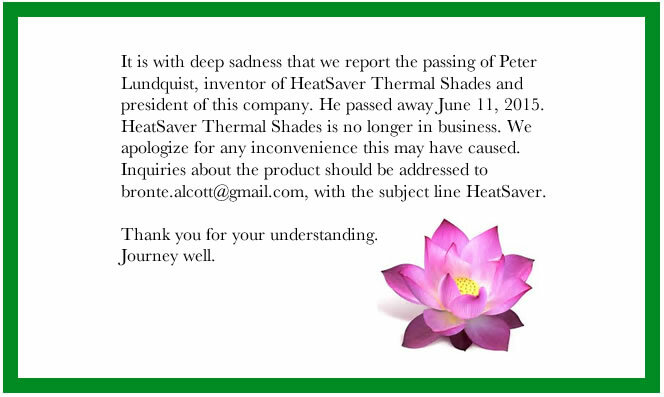 Providing you comfort from temperature extremes and saving you money, while conserving the earth’s resources. The U.S. Dept. 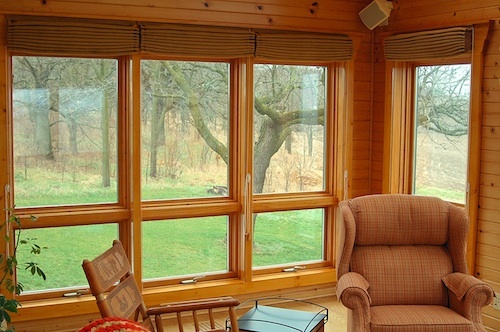 of Energy reports that windows typically account for 25% of annual heating and cooling costs in homes and can be responsible for as much as 40%. 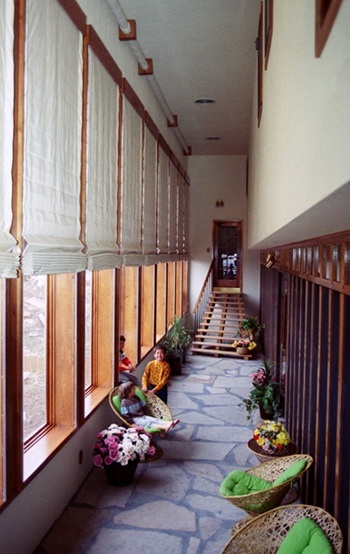 In passive solar homes or buildings with large window assemblies the losses could be much greater. Insulating your windows with a well designed, fitted thermal shade is the best way to control expensive and uncomfortable heat gain and heat loss. 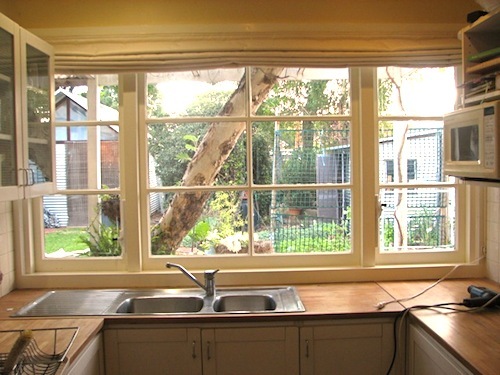 “If you have decent windows now, does it pay to replace them? No. We have satisfied clients in five countries on three continents. From the heat of southern Australia to the cold of central Alaska. HeatSaver® Finished with Camira Lucia Aruba. The clients who have selected their finish fabrics from our Camira line have been quite pleased with the results. We have four different lines which offer nearly 168 different options for color and texture. Digital swatches are available, specific selections can be shipped usually next day from their U.S. facility. HeatSaver® in a passive solar addition, finished with Camira Hemp Gorse. Energy is a valuable resource to be managed. In 2013 we completed some interesting projects. If you’re a Building Maintenance or Energy Management Professional you might like to review what’s listed here and on our Performance and Commercial pages. HeatSaver® in The Center for Green Technology. Finished with 300 Denier Nylon. 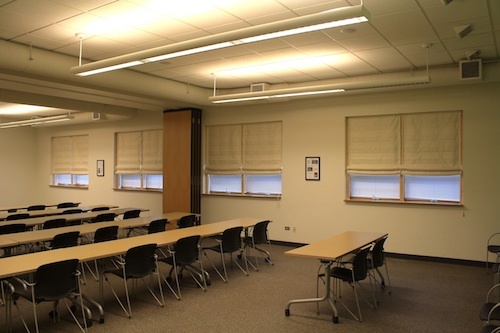 In July 2013 we installed eight shades installed in the Chicago Center for Green Technology and in February 2014 started using Onset sensors and data loggers to monitor their performance. Though the center is now closed to the public we’re continuing to collect this important information and hope to do so throughout 2015. Contact Peter to schedule a private viewing. 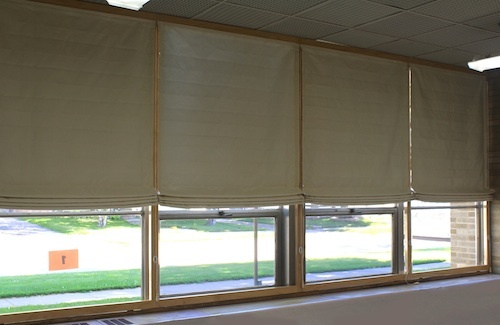 Seven shades installed in a small elementary school in central Wisconsin. This one room now has the most highly insulated wall area of the entire school. 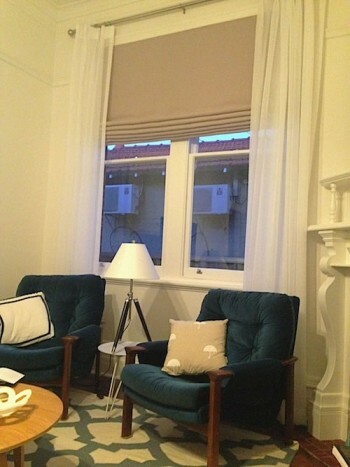 Note that frames were built for the shades, thus the windows themselves were not touched. HeatSaver® is proud to support The Empowerment Plan. All our cutoff Thinsulate™ is being used to make coats/sleeping bags for the homeless in Detroit. Brief. 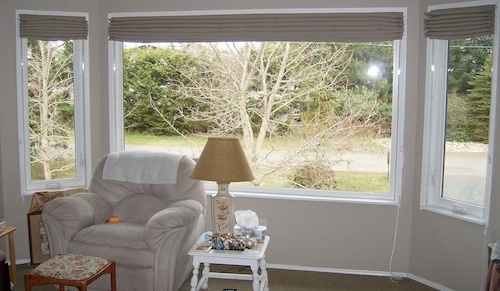 Energy Star currently has no product category for Thermal Shades or Thermal Blinds.